Zakynthos | Boat Trips | Boat Rentals | Authentic Local Experiences: Olive and olive oil: Our "green gold"
Olive and olive oil: Our "green gold"
It is believed that Artemis, Greek goddess of hunting, used to hunt on the mountains of Zakynthos because of their rich vegetation and big amount and variation of preys. Apollon, god of light and music among others, used to come with her and play his lyre while relaxing under the olive trees. 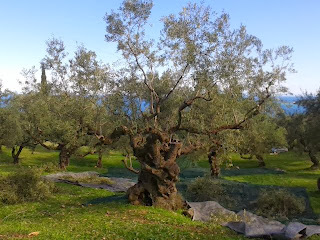 I don’t really know if this is true but the truth is that Zakynthos is filled with countless olive trees. 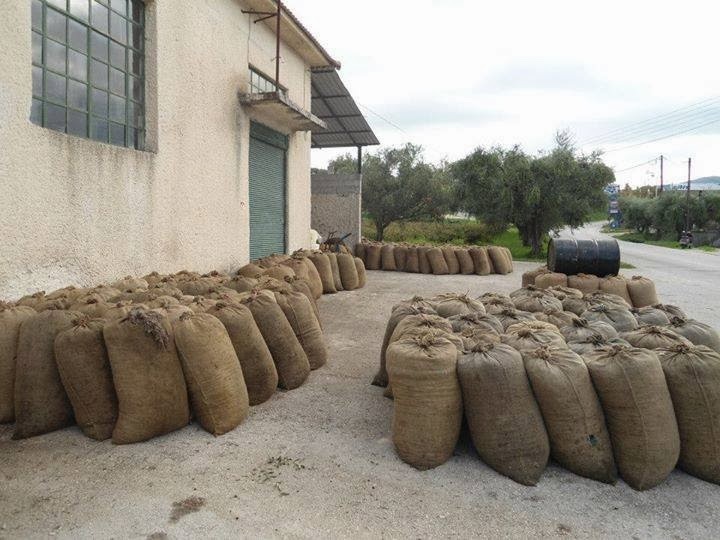 For centuries olives and all other agricultural goods that are produced in Zakynthos, have been the main products of Zakynthian’s diet and one of the main sources of their income. 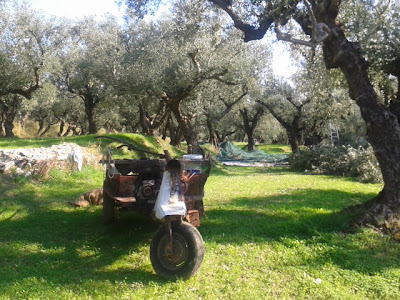 Especially now that the economic crisis has affected everyone on the island, people return to a more traditional way of living and eating that includes olives and many products that are made from them. If you drive around Zakynthos, better yet if you walk on it and visit some of the villages, you will be able to see and observe perennial olive trees with olives growing on them and people that take the best care of them. The Olive: A way of life for Zakynthians. 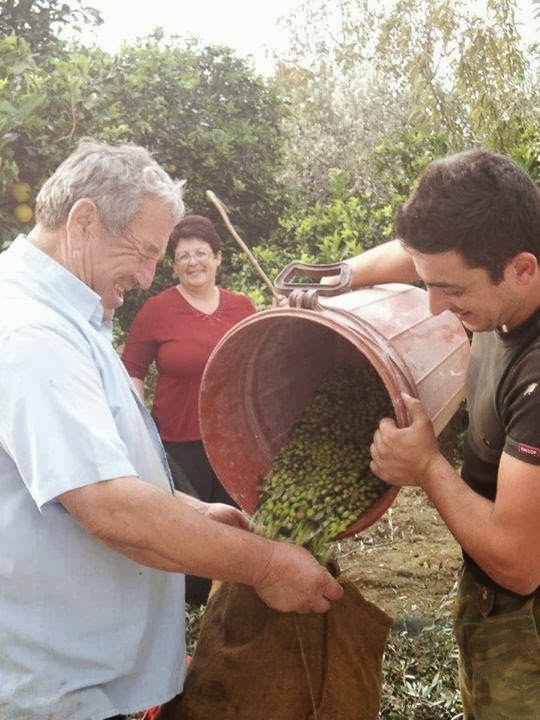 The collection of olives is an everyday matter, an everyday activity for most of the residents of Zakynthos. The collection season starts in the begging of November and lasts sometimes until late January. During this period the main subject in every conversation on the island is the olive. How many days are there left? Is the weather on their side? Is the quantity of olive oil that is produced satisfactory or not? Olive collection is a family matter. From the youngest to the oldest member, everyone helps in his way. Men start early in the morning. Some of them climb on the trees and cut some branches that will make the collection of olives easier and strengthen the tree for next season. Some others are on the ground. Covering the area around the trees with olive nets, hitting the branches with sticks and gather the olives in big sacks. Later on, when the children finish school they go along with their mothers so all the family will eat together surrounded by the olive trees. Their lunch usually consists of olives, fresh homemade bread, olive oil, feta cheese and wine. Just before the sun sets they all go back home. Tired, yet satisfied and happy from their hard work, they get some rest in order to be ready for next days work. If you ever have the chance to visit Zakynthos during the olive collection season you will immediately notice how important olives are to all of its residents. For many of them the olive oil is their only income and for all of them a basic and necessary product that they can’t imagine their lives without. Olives are Zakynthos’ history, tradition and future. For Zakynthians it’s their green gold’. Inside the olive oil factories the owners and staff work all day long in order to produce the precious and necessary olive oil. It is almost certain that you will find a table where fresh bread, vegetables and wine are ready to accompany the tasting of the new season's oil. Everyone waits patiently for his own olive oil to get ready, taste it and offer it to other people, friends or relatives that are present in the factory. It is like a ceremony and a meeting place for almost every Zakynthian. Olive collection is a tough and demanding job but it is also a duty and a chance for families to get closer since during the summer most of them work really hard and don’t get to see each other often. Olives and tourism is for us Zakynthians the main sources of our income. We have to work hard in order to preserve and protect both of them since it is our past, our tradition and our future.